The John Deitrich Field House was constructed in 1982 and refurbished in 2004 and 2014. The spacious field house hosts tennis matches when weather precludes outdoor play and is the winter home of the track and field teams. The facility serves as a secondary practice area for all Muhlenberg teams. A netting system enables multiple teams to practice safely at the same time. 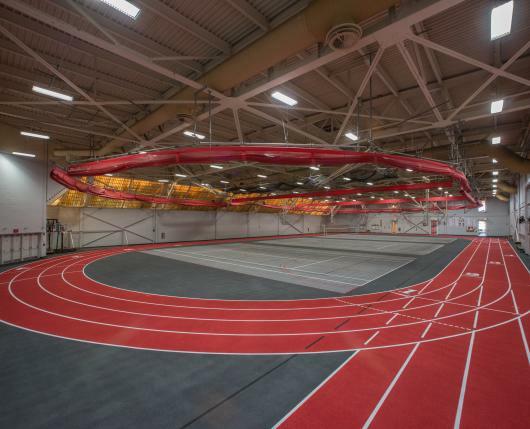 In the summer of 2014, the entire field house floor was resurfaced with state of the art full pour BSS 1000 Hobart texture IAAF certified 13mm track surface.